It's a bit intriguing to say what Milan have been doing in the market so far as they made some good signings, with mostly players at young-medium age who could be ready to break out anytime soon. However, a shocking development suddenly arrived just couple of days back as Italian international defender, Leonardo Bonucci suddenly becomes a concrete target. According to reports, this situation occurred after constant discussion with the defender's agent, who also represents other players, who are already playing for the Rossoneri. Sometime around Thursday things reportedly starting, while on the next day, media starting to pick things up, triggering many disbelief at first since not many would think that Bonucci would be allowed to move, let alone signing for Milan. However, reports turned out to be more than a smoke as there's strong fire in it with the player himself via his agent was the one who approached the Red and Black squad. Learning about the player's availability along with Juventus' willingness to sell for relatively good amount for today's market, Milan's management simply took the opportunity, despite there's still some certain gamble on it. Several stories certainly came up regarding Juve's willingness to ship out Bonucci last summer, the top news was mainly about the bad relationship between the center back with his current coach, Massimiliano Allegri. Apparently, after getting involved in several big quarrel in the second half of last season, the pair's relationship can't be repaired anymore. There's also additional rumors that the player has also fallen out with some of his teammates during their Champions League final defeat against Real Madrid few months ago. Added with his age which has already reaching the 30 mark and his family situation, there's isn't much option for the Italian international to go as he isn't keen on leaving Italy. Naturally, aside from Milan, Inter were also mentioned as possibility, but since his agent never had any talks with Nerazzurri about the situation, Rossoneri simply had the upper hand. Knowing things early, the seven time Champions League winner immediately try to conclude the transfer and agreeing a 40 million Euro(there's rumors to be additional bonuses) transfer fee with La Vecchio Signora within that Friday. People maybe asking why the Turin giant didn't ask for higher fee as in today's market the price has been escalating at a ridiculous rate. There's several things that might be in Juve's consideration, notably on the business side, if they take away any emotional attachment into the occasion, the Turin giant basically are selling a 30-year-old defender for 40 million Euro, who has recently been creating unwanted dressing room issues. Although many fans would think, it's still doesn't add up with Bonucci's status and quality, but once again, the Turin giant have recently been known to operate their business more in such manner. Financially, for the Bianconeri's management might see themselves still getting financial benefit from their sale, while maintaining good relationship with Rossoneri off the court as well. It's not a secret that Juve have at least two players they are keen on acquiring from Milan, Mattia De Sciglio along with Donnarumma, with the former might be heading to Turin later on this transfer window. So, basically which ever way you want to look it, both sides feel that they are satisfied with the transfer deal. It will certainly be interesting on whether Milan's transfer planning will slightly change again with Bonucci's capture as it is a market opportunity, which the management most likely didn't think can happen, at least not in such rapid situation. Reports of additional funds from China will certainly help Marco Fassone and Massimiliano Mirabelli's planning, though it might also means that Rossoneri have already find some potential buyers for their wantaway players. Although fans immediately set up thinking Rossoneri will be playing with a certain formation, but again it remain to be seen what will the next move that the Italian giant are making, notably for their striker position. Being slightly shadowed with Bonucci's massive surprise signing, Lucas Biglia has also been captured by Milan as they finally agreed on a fee with Lazio to sign the Argentinian international. After such long negotiation due, this deal finally got finalized also on Friday, giving Montella another exciting piece in that midfield setup. Once again, it's an experience guy, who has been performing consistently well for Lazio in recent years, proving he might still be able to provide tons of quality for the Rossoneri. Similar with Bonucci's case, the Argentinian can also be considered as a market opportunity, since his contract is running out on 2018. Knowing that Rossoneri are keen on signing, Biglia didn't feel like extending his contract as he want's to have a new experience playing in somewhat more challenging situation with Milan. This deal was not planned to be a dragging and complex one as earlier in the summer, Lazio and the Red and Black squad already agreed on a package deal reportedly worth 50 million Euro for the midfielder along with his teammate, Keita Balde. However, the latter was wavered by Juventus' approach and continue to delay everything and forcing a change of scenario. Tired of waiting for Keita to change his mind, Milan move in a different direction, but they were still keen on Biglia. Notably, Fassone and Mirabelli want a different price from their previous offer, but Lazio's management were sticking out to their own valuation. 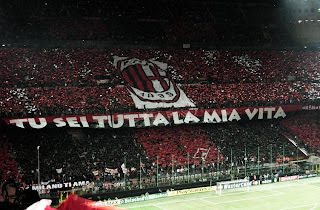 This create a dragging situation, but eventually was sorted out on Friday, with the Rossoneri eventually paying somewhere between 16 million/17 million plus bonuses that will reach to 20 million, the number Biancocelesti were continuously asking. Those two deals certainly create massive amount of excitement for Milan supporters at the moment, especially Bonucci's signing as they consider him as a top player that could lead them into immediately success. Understandable excitement indeed as those two experienced players, despite of them already in their 30s, still being considered as quality additions, especially for any teams in Italian Serie A. Now, expectations will certainly rise, especially if they do manage to acquire top notch striker to complete their roster, but again Rossoneri devotees must acknowledge the need of chemistry from those players before talking about major goals. The quality is there, along with an exciting coach to in Montella, now the tactician must be able to recreate that strong bond he installed last season, especially in the first part of the season before injuries starting to hold them back. Aside from acquiring another attacker, now Milan's management must also start refocusing on selling their wantaway players and making sure they doesn't have to sacrifice any of their important ones from past season, as that could create some uncertainty growing among the current rosters. 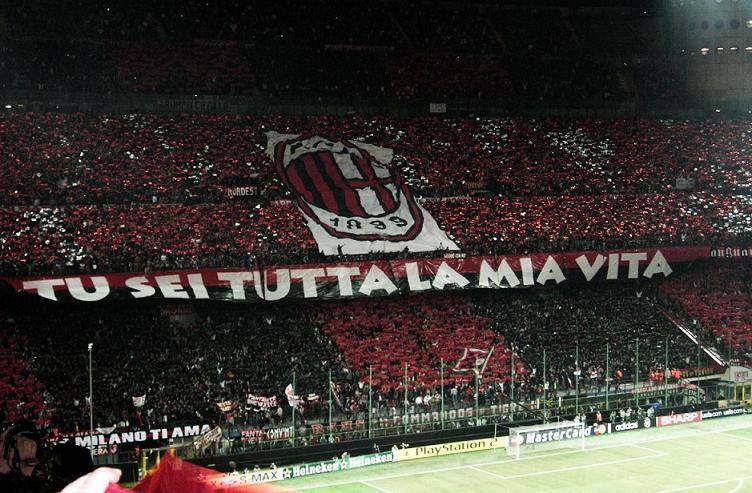 That's it's important that Rossoneri's management can maintain a strong bond of dressing room with motivated players and not triggering any unnecessary rumbling, especially because there's quite a lot of new names arriving this summer. Obviously that's part of the head coach's job, but another half is also being taken by the management as they're the one that are directly involve in making those new signings at Milanello. Hopefully, with their experience, both Fassone and Mirabelli can construct a good and highly motivated group without losing any strong bond that was build bit by bit last season.